I'm not writing a Steampunk novel. 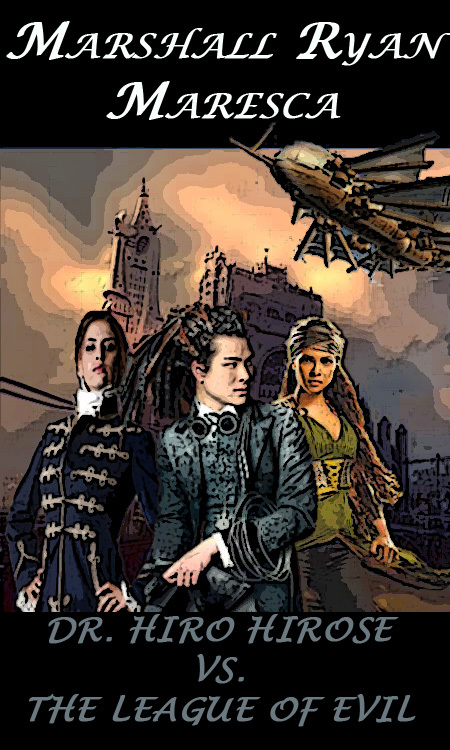 I'm not really planning on writing a Steampunk novel. In other words, when I get stuck, I get on photoshop and make maps or other stuff. This time, I made a fake cover to a book I have no plans on writing. Hint Fiction (aka the Norton Anthology of Hint Fiction) is now out, and it has so far gotten pretty good press and publicity, including The New Yorker and NPR. There has been, of course, some degree of negative reviews. This is to be expected. Most of these challenge the notion that hyper-short fiction-- like Hint Fiction's 25-words-or-less rule-- has any real value at all. Of course, I disagree with this notion, and not just out of my own self-interest with regard to Hint Fiction. I think my main contention is the idea that hyper-short fiction is somehow a symptom of the modern twittering-and-texting short-attention-span society. I agree that has created a platform that allowed hyper-short fiction to thrive, but I disagree that the stories that emerge from it are somehow weaker for it. Most of the Hint Fiction stories in the anthology are fantastic examples of tight, focused writing. These aren't just a couple strong sentences; they're sucker-punches of prose. I'm actually quite astounded to be included amongst them. Check out Hint Fiction on Amazon.